Confessions of a 20-something Scrapbooking Mother: My first award! Although I'm not feeling very creative lately, I'll take it. Lol. I'm supposed to give it to 6 people so here goes. 2. Next up is Michelle. I just recently stumbled upon her blog and have been frequenting it ever since. Her creations are beautiful. Just stunning. And if I had half of the beautiful stamps she has, I would be happy forever! 3. If you haven't been to Veronica's blog, go now. RIGHT NOW! She is an actual real life stamping friend, and her work is amazing. She is so talented. 4. 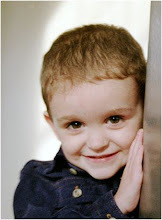 Another one of my favorite blogs is Angel at Angelosity. She is super talented. Not to mention her birthday challenge really got my creative juices flowing again, so thanks Angel!! I just love checking out her new creations. 5. Next up is Becky. No, not me, another one! Becky creates the most beautiful cards, and they have so much detail! And not only is she talented, she's so sweet. She's the wonderful person that sent me all of those awesome Changito images! I'm crazy about that little monkey. :) So go check out her blog-you won't be sorry! 6. And last but not least, LIZ! I know she's the one that gave me this award in the first place, but she's super deserving of it as well. We are a lot alike and I think we will be great friends. Her work is beautiful, and I love reading all of her family updates. Also, check out her blog and then go vote for her gorgeous button card on Tip Junkie!! So thanks again for the award Liz! And go check out all of these wonderful ladies blogs! I am off to work on a few more cards. I have a few to share, but can't get my camera to upload. Its always something, huh?! Congratulations!! Aw, thanks Becky! I'm always honored and thrilled to be mentioned!! I agree, Liz is a sweetheart!! Hugs to you and your sweet boys!! Thank you for the award, becky. You're so sweet. love the monkey card too!! 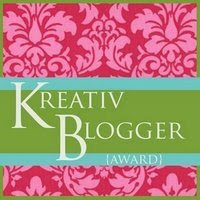 Thanks so much for the award and the wonderful words and link to my blog! You're so sweet!